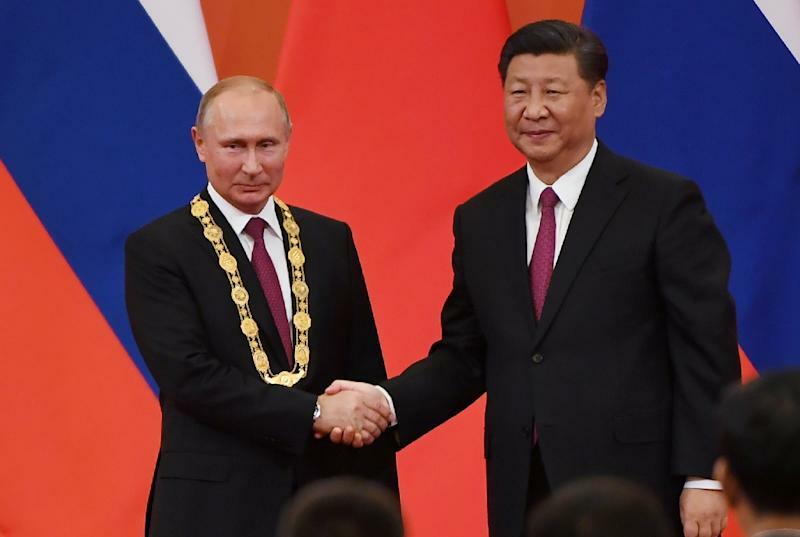 President Xi Jinping gave China's first friendship medal to Russian counterpart Vladimir Putin on Friday as the neighbouring giants touted their close ties amid diplomatic and economic challenges from the US. Xi placed the large golden medal around Putin's neck at the grandiose Great Hall of the People in front of dignitaries from both countries. China's "highest honour" is bestowed on foreigners who have made "outstanding contributions" to the country's modernisation drive and helped maintain world peace, Xi said. "This medal of friendship represents the Chinese people's lofty respect for President Putin, and symbolises the profound friendship between China and Russia," he said. 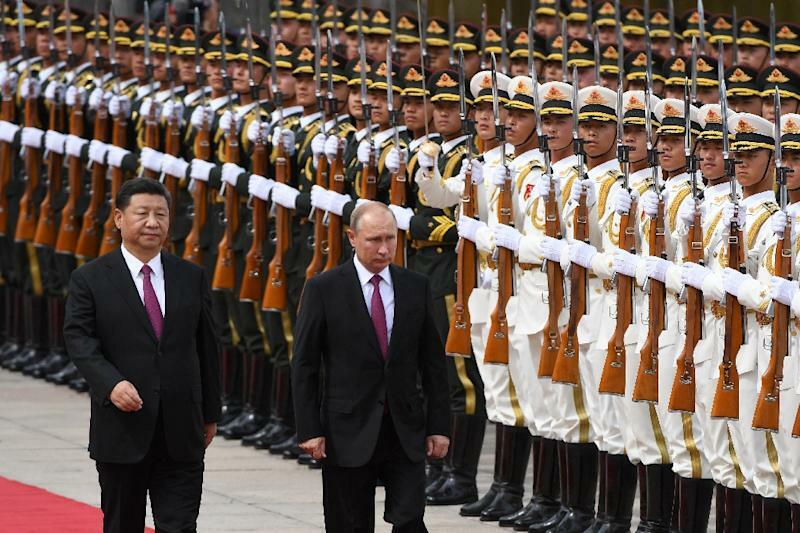 The most powerful Russian and Chinese leaders in decades, Putin and Xi have forged closer ties as US President Donald Trump has labelled both countries economic rivals that challenge US interests and values. Before the medal ceremony, Putin said the two heads of state had enjoyed "fruitful" talks. "The relationship between Russia and China is a friendly, neighbourly one, developing... in the spirit of overarching strategic partnership," he said. The two leaders later attended a youth ice hockey game in the coastal city of Tianjin. Analysts remarked on their similar leadership styles. 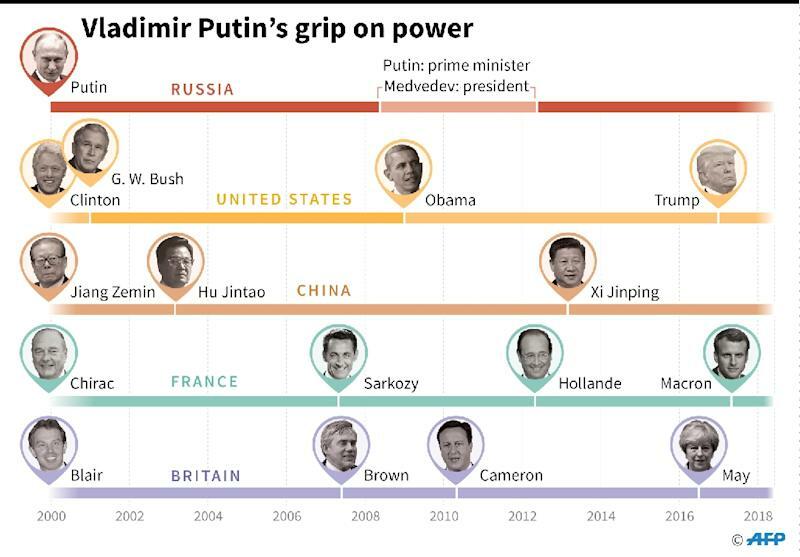 Putin was re-elected to a fourth Kremlin term in March. That same month, Xi was given a path to indefinite rule when the Communist-led rubber-stamp parliament lifted presidential term limits. "We both believe that the current trade protectionism has increased, and there are many uncertainties in the recovery of the world economy. Economic globalisation and regional economic integration are the trend of the times," Xi said. Putin noted that bilateral trade between Russia and China hit $87 billion last year and rose by 31 percent in the first quarter of this year. "If we are able to keep up this rate of growth we may be able set a record at the level we discussed achieving over the period of several years -- $100 billion," Putin said. Putin played up his bond with "good friend" Xi in an interview with China's state broadcaster CGTN this week. He said the Chinese president was the only state leader to have celebrated his birthday with him, with the pair sharing vodka and sausage. Putin told reporters on Friday that the two leaders had discussed the situation on the Korean peninsula. "It is positive that the inter-Korean negotiations which have begun are moving along the lines of the Russian-Chinese roadmap for resolving the Korean situation," he said. "Recent Russian-North Korean contacts confirm the willingness of Pyongyang to work constructively," he added. Russia supports China's proposal for a "suspension-for-suspension" approach that calls for North Korea to stop its nuclear and missile testing in exchange for a halt to joint military exercises between the US and South Korea. Putin also said they discussed Iran but didn't provide details. For its part, Russia allows China to show the US that it has "other options" in international negotiations, she said.